Check out the infographic below from ResumeBear for a breakdown of who offers what perks. Do you work at any of these companies and take advantage of any of these perks? Let us know in the comments below. Fed up of your child logging into Facebook at the cost of studies? The Rajasthan government has hit upon a remedy - a social networking site that will also help brush up a youngster's academic knowledge. "The idea is to utilise the popularity of social networking sites among students. Most of them spend a lot of time on such websites every day," a senior official of the state's information technology department, which is developing the portal, told IANS. The government portal will give tips to students on subjects like physics, chemistry and mathematics. Experts will be roped in to answer the academic queries students post on it. "We thought why not make it a bit educational so that students can not only enjoy the fun that these sites offer but also get to learn something," the official said. Students will be able to open up their individual accounts, add friends, upload photographs, play games and interact among themselves just like they do on Facebook. "What makes it stand out is the fact that there will be subject-specific links on the home page. We will store e-books, objective questions and coaching material related to each subject," the officer added. The development of the portal is in the final phase, he said.The government should popularise the website by approaching educational institutes across the state, including schools, colleges and coaching centres, said Abhishek Sharma, a volunteer working with a local NGO. "The students should be encouraged by the institutes to use this portal," Sharma told IANS. "It will be fun to have such a social networking website. I usually get distracted by these sites, but fun and studies going together must be great. I am eagerly waiting for the site to be launched," said Manu Mishra, a Class 11 student. Parents have also welcomed the initiative. "My son spends half of his time on social networking websites which could be utilised for sports or studies. I will definitely encourage him to use the portal being launched by the government as it will at least have some study or course and subject material," said Ramkumar Joshi, parent of a Class 12 student. 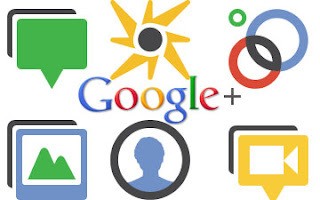 Google+ Inc's new social-networking service may grow to claim 22 per cent of online US adults in a year, passing Twitter Inc and LinkedIn Corp. to be the second- most-used social site after Facebook Inc, a survey found. of US adults to keep 69 per cent of that population, while Twitter and LinkedIn continue to grow their portion of users. Started in late June, Google+ is growing faster than Facebook and MySpace Inc. did in their early days. The service, which lets people connect with and manage groups of friends on a website, gained about 25 million users worldwide in less than a month, estimates market researcher ComScore Inc Facebook has more than 750 million active users. "Google+ is tracing a path similar to Facebook's initial growth -- building excitement in a core group of early adopters," said Michael Nardis, head of YouGov investment products, in a statement about the survey. Katie Watson, a spokeswoman for Mountain View, California- based Google, declined to comment. Jonathan Thaw, a spokesman for Facebook, and Matt Graves, a spokesman for Twitter, also declined to comment. Bloomberg and London-based market researcher YouGov Plc polled 1,003 online US residents 18 and older from July 29 to August 2 for the survey. The results showed Twitter will add almost 3 percentage points of US adults online over the next year to claim 20 per cent of the population. LinkedIn will also have signed up 20 per cent of those people, after gaining almost 2 percentage points within the year, the survey found. Among survey respondents who had signed up for Google+, 45 per cent said they read content on the site every day, compared with Facebook's 62 per cent of users. Twitter has 42 per cent of its users return daily, while LinkedIn has 8 per cent. Google+ usage is likely to take away from the time people spend on Facebook, the survey found. Some 30 per cent of people who use both services said they plan to reduce the amount of time they spend on Facebook. Some 31 per cent of Google+ users polled said they have already abandoned their accounts or not written any posts yet on the site. Those who doubt the power of Twitter should think again as the micro-blogging site helped save a life today. Jaishree Menon, a mother of three, today threatened to end her life as she said she could do nothing to stop her husband from exploiting his own daughter. She felt neither the police or any organisation could help her daughter. She tweeted: "I think I should end my life. My daughter is exploited by her own biological father . no police no womens commission able to do justice." This post caught the attention of Twitter users who then jumped into action and spread the word among journalists, who contacted the police and made sure the 48-year-old Navi Mumbai resident was safe. Pervin Sanghvi: Please read @SachinKalbag 's tweets on Jaishree Menon. Relieved to know she and her children are safe. Thank you for mobilising support. SachinKalbag: Jaishree is safe. Her daughter is okay too. So is her son. Sachin Kalbag: The police have unearthed several details in the case, but of an extremely personal nature. So I am not going to post them here. Sachin Kalbag: Reporters called the police in Navi Mumbai following which two officers have gone to Jaishree's house. Let's see what happens. Sachin Kalbag: Our reporters are on the job in the Jaishree Menon case. So have the cops been alerted.